What a shocker. On Earth Day, Rick Scott has sent a petition to the Environmental Protection Agency asking the federal government to rescind its water pollution guidelines for the state. 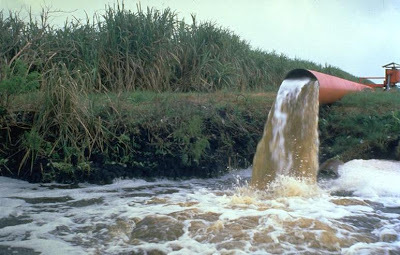 The day after the Florida House passed a bill to ban implementation of water quality standards set by the U.S. Environmental Protection Administration, Gov. Rick Scott on Friday asked the agency to rescind a January 2009 determination that the federal rules are necessary for Florida. So lets see - Rick Scott claims Florida can take care of its waterways and doesn't need the regulations that were brought upon the state because Florida didn't take care of its waterways. Scott and opponents claim the "EPA standards will be costly to implement, don’t address specific conditions of local waterways and provide little biological benefit," but according to environmentalists, the Clean Water Act has had a positive impact on the state, which is still in desperate need of improvement. The argument against federal intervention does not make sense. being that EPA Regional Administrator Gwen Keyes-Fleming stated the regulations would be common-sense, flexible, and site-specific - not the blanket coverage opponents make it sound to be. What is even more troubling is that in the Florida legislature, Republicans (and twelve Democrats) voted to ignore EPA regulations. Ignoring EPA regulations is what caused Florida to lose the lawsuit regarding the Clean Water Act in the first place. 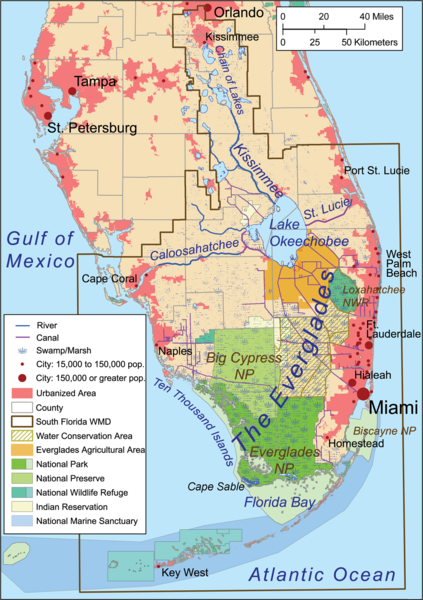 Also, why would anyone trust Rick Scott over environmental issues when he proposed extensive cuts to restoring the Everglades. The funding, once $200 million annually under Governor Jeb Bush, would be cut to a meager $17 million, and who knows where it would go from there. Oh and here is a thought - people like Scott insist the EPA is overstepping bounderies, but they fail to acknowledge that the Everglades is a National Park and is designated a World Heritage Site, International Biosphere Reserve, and Wetland of International Importance. Not only that, but the wetlands extand as far north as Orlando - halfway up the state. To ignore an ecological system that encompasses such a large portion of the state because of fears that it will hurt citrus growers and industry is irresponsible, and considering Florida's number one industry is tourism, one would think clean waterways would be a boon for business interests. But keep your cotton pickin' federal ideas out of my state...the Imperial Ruler Scott has it under control. Like Snyder and Walker, they know best, or will be told by their corporate masters what is best...read: cheapest, barely effective, and won't kill too many kids or make too many people sick. These people are sickening. I can hardly wait to sign the recall petition for Snyder...I urge Floridians to get the process going for this felon who should never have been elected.